Google may have made more headlines for its ongoing work in self-driving vehicles, but its approach to the dashboard may also have a lasting effect in the years to come. In Android Auto, the company is looking to make Android smartphones easier to use in the car. With such a fragmented operating system, there was really no other way to make this happen. Aftermarket vendors have tried and failed to keep up with new devices, and third-party overlays make it difficult to support each and every model. Android Auto is supposed to be the tie that binds them all. And with infotainment being such a mixed bag from the automakers themselves, Google’s approach should be a huge step up from what came before. Does it deliver as promised? Let’s find out. 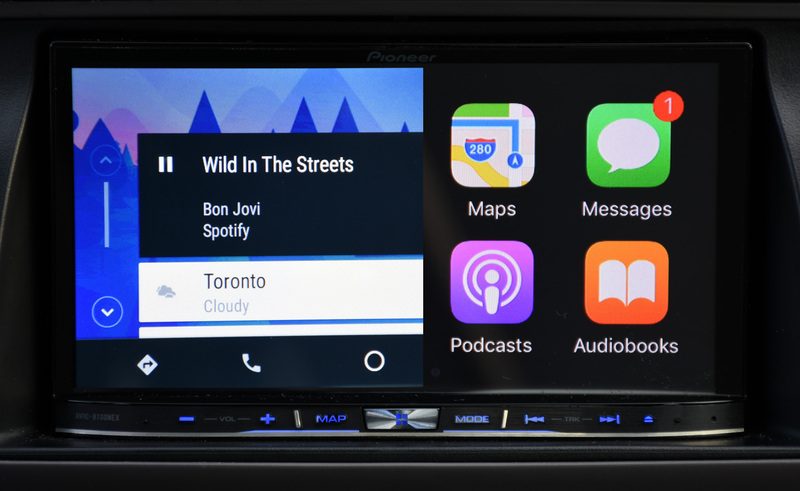 I’ve spent three months with Android Auto using both Pioneer’s $1400 AVIC-8100NEX head unit installed in my car, plus some time with a 2016 Honda Accord that was compatible with the platform. No less than 12 Android phones were used for this review: Samsung Galaxy S6 Edge+, Samsung Galaxy Note 5, HTC One M9, HTC One A9, LG G4, Nexus 6P, Nexus 5X, Nexus 6, BlackBerry Priv, Motorola Moto X Play, Sony Xperia Z5, ZTE Axon and Asus Zenfone 2. 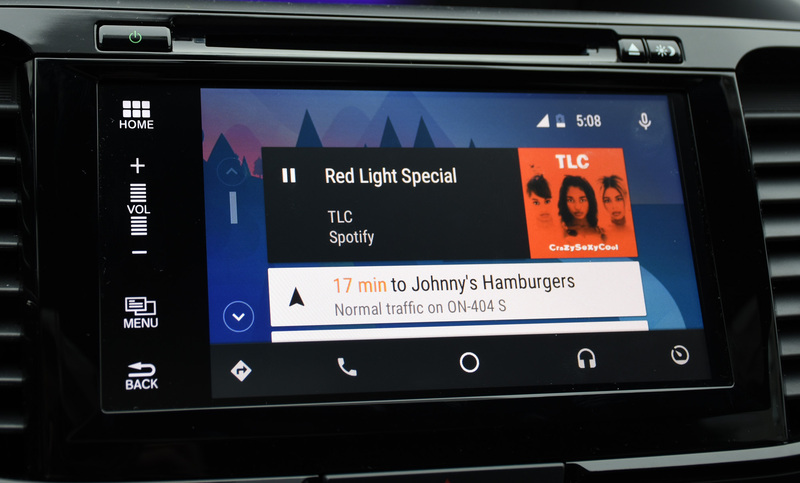 To streamline compatibility, Google used Lollipop as a starting point, embedding the Android Auto software into the OS. The release of 6.0 Marshmallow added a couple of usability nuggets, though I could only really test them using the Nexus 6P and Nexus 5X. Like Apple’s CarPlay, Android Auto isn’t a hardware product. It resides on the Android phone, projecting supported apps and features to a compatible head unit in the car. That allows Google to update it with new features and fixes without having to worry about hardware compatibility. Until something changes, Android Auto can only work when plugged in using a USB cable to a specific port in the vehicle. Newer cars, like the 2016 Accord, will sometimes designate a port for smartphone use, whereas others might not. This is straightforward for newer vehicles running both Android Auto and CarPlay because the signals are routed from the same USB port. Aftermarket head units don’t, separating the “iPod” port from the others, meaning that two distinct USB extensions have to stick out in order to use either platform. 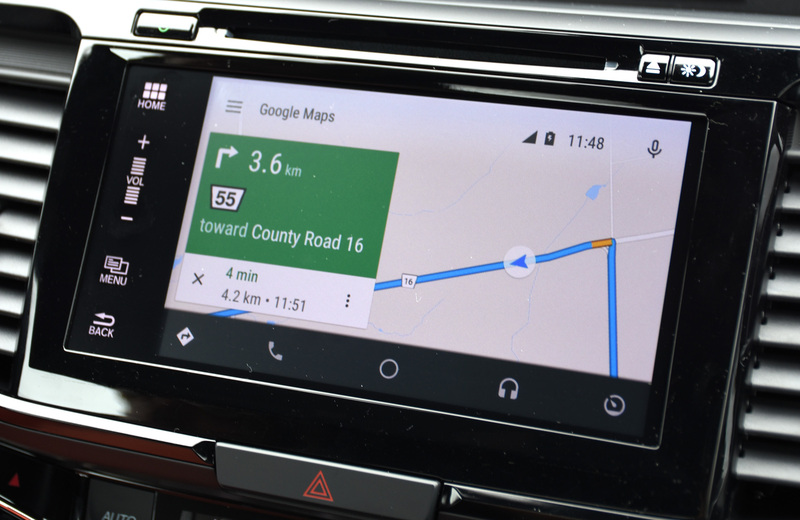 Unlike CarPlay, which has a clear and straightforward setup, Android Auto is more complicated because of the sequence required to get up and running. First, I had to download the free Android Auto app from the Play Store. Launching it does nothing on its own, but is necessary to project the app. When plugged in, the Android Auto setup screen appeared, but I could only move forward if I had a data connection. Then, I had to make sure I had the latest Google Play Services update. After that, I had to make sure Bluetooth was on. Other than being prompted for the update, the process doesn’t articulate some of the finer details to ensure a smooth setup. At no point did it tell me I had to turn on Bluetooth to kick off both pairing with the head unit and a transfer of contacts. Had I already paired the phone with the head unit, then I was fine, but if I hadn’t, I had to make sure I manually turned Bluetooth on instead of the OS doing it itself. With all that done and ready to go, Android Auto’s home screen appears, made up of a typical Google background with the same card-based layout seen in Google Now. Despite the fact the platform requires a capacitive touchscreen, cards can’t be swiped away. Not much can be customized, either. Apps generally fall under menu shortcuts on the bottom row, as opposed to an app grid, like that seen in CarPlay. There is full support for integrated controls in the car, including the steering wheel, and the platform will default to those instead of having to touch the screen. Skipping tracks, adjusting volume and even zooming in and out of a map can be done without touching the display, so long as there are controls that tie in to them. In the case of the Pioneer head unit that comprised most of my testing, I could only make do with the hard buttons on it. Not surprisingly, a data connection is a key pillar to Android Auto’s functionality. It’s the primary method to using Google Now, Maps, streaming music apps and supported third-party messaging apps. When data is off or there’s no connection, the platform is fairly neutered, offering only music cached or stored on the phone. Since Android Auto uses a standard USB connection, I had to use the short USB-C adapter cable that comes with the Nexus 6P in order to test both of the latest Nexus handsets. Runtime permissions in Marshmallow also appeared when I first plugged each device in, asking me to allow or deny an action, like letting it manage phone calls, for instance. Since Android Auto needs fairly broad access, I didn’t bother denying anything. In utilizing the microphone attached to the head unit, issuing voice commands is considerably easier. Google Now is always present on the top right of the display, though it isn’t triggered purely through voice. I had to tap the icon and then tell it what I wanted. Or I could use a long press on the voice button on the steering wheel (so long as the car supports Android Auto, of course) and activate it that way. It wasn’t much of a chore, but when Siri can come to life with one hands-free salutation, I grew to want the same here, too. That being said, the scope of commands is arguably greater here than it is with Siri. I could tell it to play music on Spotify, Google Play Music or TuneIn, though not exactly what I wanted to play. I could easily ask for directions to a specific address or look for a point of interest. I could make calls, send messages and set reminders or calendar entries with ease as well. Even WhatsApp messages could be sent this way, marking a nice perk CarPlay currently doesn’t offer. The fact I could launch a third-party app was also something I noted on many occasions, especially considering it has to be done manually on CarPlay. Another perk was speed. I found Google’s speech recognition to be quite good, and I messed up a call once because I didn’t recite the phone number fast enough. With Siri, I had the opposite issue, where I had to slow it down so that the numbers would come together in the right sequence. If I was ever in doubt about what I could ask for, I prompted it by asking, “What can I say?” Naturally, the platform has been programmed to not announce an exhaustive list. It gives the basics, and that’s it. Discovering more of the nuances involved in getting things done by voice requires trial and error. Yet, it’s not far off from what you would expect with Google Now on your phone. Except, like Siri, results are audible, not legible, unless you’re searching for the nearest gas station or coffee shop. Otherwise, asking for the answer to a trivia question or the latest sports scores won’t offer anything to read or scroll through onscreen — a totally understandable limitation for drivers. Selecting songs to play from the phone’s internal storage through Play Music was consistent. Recognizing artist names and song titles was mostly on the mark, save for some that Now clearly misinterpreted. Unfortunately, in moving playlists over from Songza, Google hasn’t indexed any, making all of them unsearchable. Instead, I had to tell it to “Play music on Play Music” and hope for the best. By making cards static on the home screen, Google leaves no option to remove them, thereby creating a problem that shouldn’t be there to begin with. I don’t need to see the last place I visited if I only wanted turn-by-turn directions one time. There was no way to remove it through Android Auto itself, so I had to unplug the phone and remove listings manually through the history in the Google Maps app. This is, in part, a reflection of how stifling the platform sometimes feels. There is no way to override the connection and do something with the phone (or have a passenger handle it) when plugged in. The Android Auto logo just stays there. Hence, why I had to disconnect and reconnect again to remove some mapping history. While this makes complete sense in the interest of safety, it proves to be a hindrance when bugs keep things from running properly. App support is fairly good from the outset, depending on what you prefer to use. All told, there are 25 media and 16 messaging apps currently available for Android Auto, and I would expect those respective numbers to grow considerably in 2016. Some may not be household names, but popular ones like, Spotify, TuneIn, Google Play Music, MLB.com At Bat, BBC Media Player, Stitcher, WhatsApp, Hangouts and Skype are in the roster so far. Despite Songza not having support before, its recent absorption into Google Play Music brings the goodness of the free service to Android Auto — and at a higher streaming quality, if I wanted. Songza topped up at 128kbps, whereas I could go up to 320kbps with the same playlist now on Google’s app. Using apps is enjoyable, but not without hiccups or frustrations that mar the experience. Taking music and podcast apps, for instance, scrolling through playlists is limited to about 13 entries where a message pops up saying, “Can’t show more items for safety reasons.” The only way to move further up or down is to select the first or last song/station on the list and scroll further beyond until repeating the process again. This is highly risky to do while driving, and I never really bothered unless I had a passenger take care of it for me. The problem with that is streaming music and radio apps are known for long lists. I have Spotify playlists with not just dozens, but even hundreds of tracks. I could opt to shuffle them up, except there isn’t much control in playing more of the songs I want. To remedy this, I had to create smaller playlists of 20-30 songs and go from there. This is a shame because Spotify looks much better on Android Auto than it does on CarPlay. It’s equally unfortunate that the level of access swings the other way. For some reason, there is no access to the Songs menu under Your Music, and recent search results where I played tracks without saving them are nowhere to be found. CarPlay offers both. The strange glitch I complained about with CarPlay, where Spotify would refuse to play was far less prominent here, but it did happen. Most especially frustrating were two cases where a track was clearly playing onscreen, yet no audio came through. In all of these instances, I had to wait to stop, unplug the phone, kill the Spotify app on it and then reconnect and relaunch Spotify directly from Android Auto. Other audio apps weren’t immune to glitches, either. Aside from some strange loading delays, Android Auto had a nasty habit of not always remembering what I was playing last. This happened often with TuneIn, and Google Play Music tended to push me back to the main menu, too. Messaging apps, in general, are mostly the same, relying on contacts to send and read out messages. Notifications will appear as a banner on the top, and responding by voice was pretty consistent. I thought it was cool to be able to get a Skype call, but found it only really useful for a friend or relative who might be overseas. Otherwise, it stayed dormant. One of the jewels of Android Auto is having Google Maps readily available at any point and time. It does require a data connection, but the recent addition of offline maps does kick in for areas with spotty coverage. This is, however, an “only if” situation, meaning I couldn’t cache a map in advance to use through the platform. Being the only map currently supported, there isn’t much of an alternative, so this becomes a concern when you have a small bucket for a monthly data plan. For the most part, using Maps is nice. I could turn traffic indicators on, though never heard traffic advice when I asked for it. I could pinch on the screen or utilize certain controls on a steering wheel to zoom in or out. A quick tap on the legend reoriented the map to have north face up. In other words, it does the basics well enough, but I would like to see better integration with some of the other pieces we now take for granted with Maps, like Street View, better 3D mapping and displaying more points of interest. Never before have I used so many Android phones in the car on the same infotainment system, and never before have I experienced so much consistency with all of them. This was an irony not lost on me during testing, and was a clear indicator that this is really the most inclusive way to get every manufacturer and compatible model involved. MirrorLink and MHL are still out there, but they suffer from a lack of cohesion in both the wireless and auto industries. Some cars have it, others don’t. Aftermarket manufacturers love them, phone makers more ambivalent. 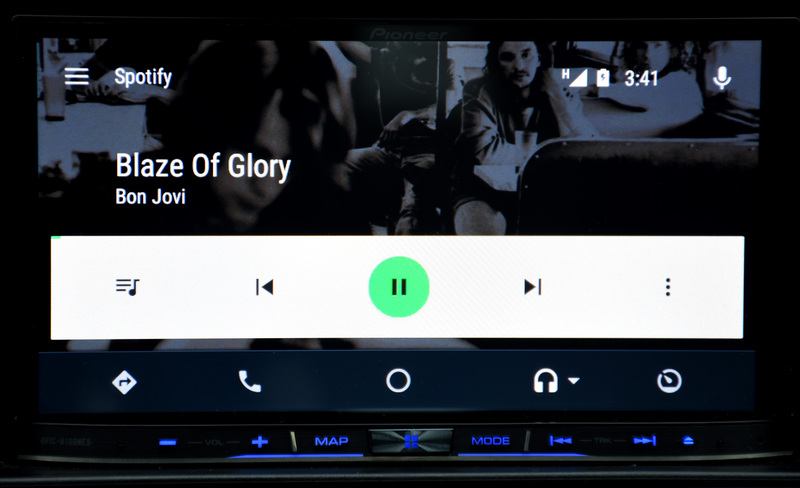 Android Auto clarifies in a way that may have otherwise been impossible for such a fragmented OS with so many players on all sides. Take away Google’s unifying approach and the commitment to update it along the way, and this thing fails before it even has a chance at critical mass. That bodes well for the future, but it’s a mixed bag today. Some automakers included Siri Eyes Free without embedding CarPlay, yet Google has nothing similar to offer them. 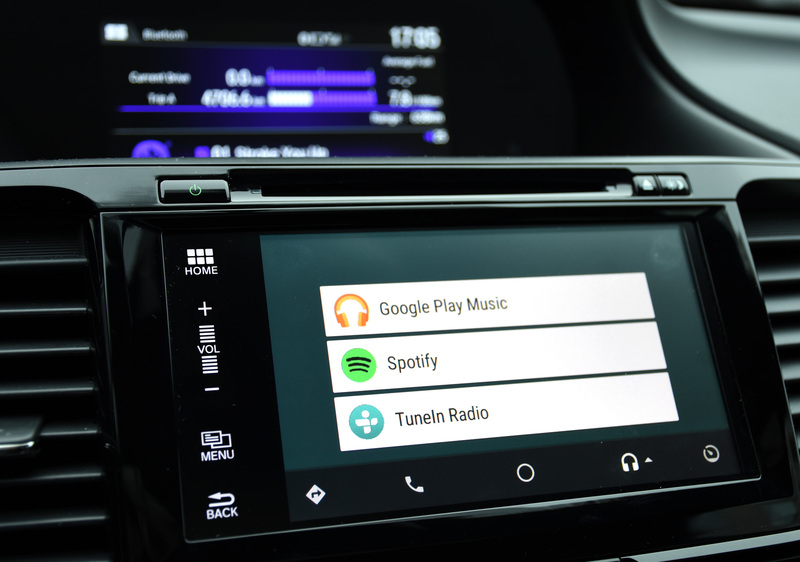 And so, Android Auto is effectively a simpler method to integrating apps and voice activation for the legions of Android users who want to use something that keeps the phone out of their hands behind the wheel. Refining it will naturally take time, as will app support. A wider rollout from automakers in 2016 will be made all the more interesting by what Google does with subsequent Android updates on Marshmallow and Android L.